Thanks for visiting, this last month I’ve been spending a lot of time doing research on all of the most popular email marketing companies out there. As a price comparison to the rest of them, Mad mini’s paid option is by far the cheapest out there. This company was started in 2007 by Gary Levitt, a musician looking for a good email marketing company to help with his email list. He couldn’t find a good one out there, so he decided to make his own and that was where Mad Mini started. He designed it with a basic, simple to use interface with big bright colors. Unlike MailChimp, Mad Mini doesn’t provide an extensive range of templates to use. Mad Mini is what Gary designed it to be, basic. With its basic design, it gives users a simple to use and makes it easy for them to integrate with their email list. An auto-responder are email messages that are sent at intervals of your choosing. You can set it up so that when a new person signs up, an email message is sent to them immediately, welcoming them to your group. You can set it up so that 2 weeks later, an email about your favorite product can be sent to them. Auto-responders help you keep up with a growing list when your business starts picking up. Mad Mini’s auto-responder is basic, just like the rest of their product, in that you are limited to sending emails on time intervals and birth dates or anniversaries. MailChimp and GetResponse in comparison provide more functionality in that your emails sent can be triggered by certain user actions. The Analytics that Mad mini provides is also basic, most of the product is stripped down to provide you with a better, simply way of doing things. Also, they don’t offer any split testing, which is sending out emails to test what works and what doesn’t. Mad Mini is for those on a low budget and is new to Online Businesses. I personally recommend Mailchimp, though Mad Mini’s paid version is a lot cheaper. Two type of support is available for those using their service, a searchable online resource, and email support. In comparison, Mailchimp offers live support. Both Mad Mini and MailChimp have a free version that let you get your feet wet before you jump into any paid plans. $1,049 per month – 350,000 email addresses. When it comes to simplicity and pricing, Mad Mini outperforms most of her competitors. Even though she has fewer functions and is less flashy, Mad Mini can be a great option for those that are trying to get into the Online Business World. Thanks for visiting, check out my social sites Google+, twitter, and facebook. If you have a comment or questions, feel free to leave them below. I make sure to answer every comment within 24 hours. 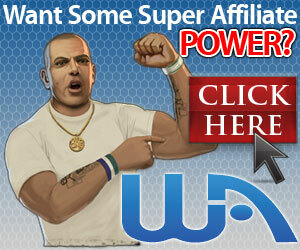 Previous Previous post: 6 Tips For Affiliate Marketing Websites. thanks for this review is really helpful. as an affiliate marketer, i do reply my customer through mails and it is a powerful way of marketing. i can see mad-mini is more cheaper than the other once. with the comparison you did, the efficiency is more higher. i will try the 500 e-newsletter for now. thanks for the review. It really depends on the users tastes, Mad mini is built in a way to be very basic and simply to use. Plus it’s cheap and has a free version, I personally use MailChimp, but Mad mini is a great alternative to those just wanting a basic program.